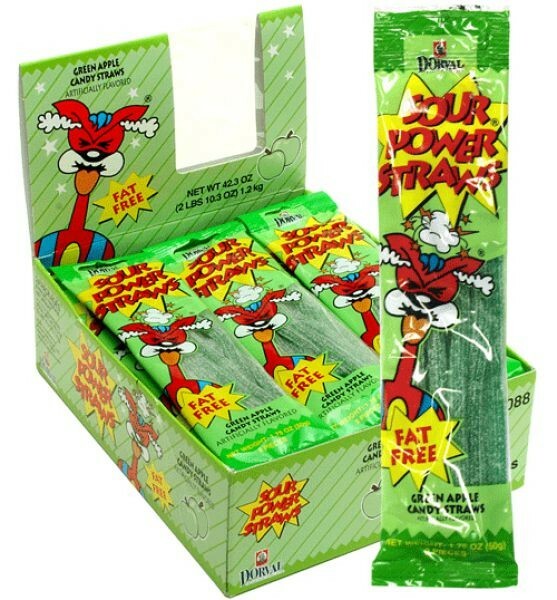 Green Apple Sour Power Straws from Dorval, super sour gummi straws in convenient 1.75 ounce packets. 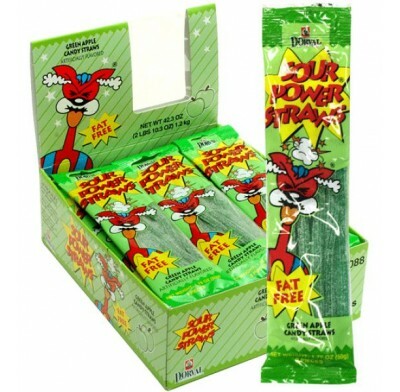 Each of these sour coated watermelon candy straws can be peeled and are fat free! There are 24 packets per case.